Start your holiday toy shopping now! Check out Toys R Us Pre-Holiday SALE happening until September 24, 2018 at Glorietta 3 Activity Center. 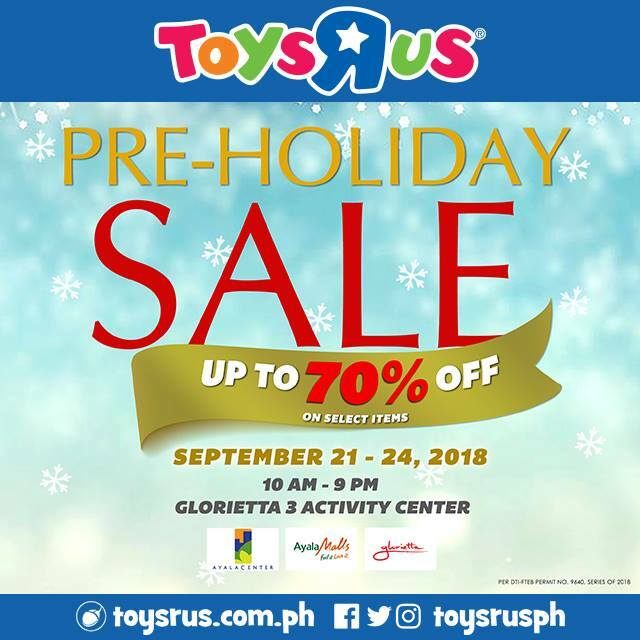 Get up to 70% off on select toy brands!